Forewords: First rule of making mods is DO NOT BE AFRAID TO TRY out different things. Change a few things here and there. You will make some mistakes initially but this is how you learn. It's how I learn. Practice makes perfect. So just get your notepad / wordpad fired up and get into it. Just make sure that you back up the original Cossacks files before you do anything else. Please also note that for the purpose of this article, the term units implies both units and buildings of the game Cossacks. NRES.DAT : This one is interesting. It is editable via a text editor (eg. notepad). It controls many things. UNITS/FARM for example, is a value stating how many units can be had in a single dwelling. It also controls the position of where order icons are to be placed, and many other things. GP files : These are graphic files for unit sprites and various other pictures in game. Currently the full format of this file is not known, therefore not editable without official GSC tools. LST files : Of interests in these files are NATIONS.LST and ORDERS.LST files. If you want to add extra nations (and that's a BIG want, even Baddog has not attempted a project this size, ?yet) then Nations.lst is the file that you must look into editing first. Again, it is straight forwards. Orders.lst file is also very editable and should be of interest as well as it controls the formation size, shape and gains in armor, attacks, etc. Again, the content is self explanatory. MD files : These are files with unit specifications. These are probably the files that you would spend most of your time tweaking. Get to know them well. Most of file contents are pretty self-explanatory. A special note must be made about the NAME entry in this file. This NAME entry is the actual name that will be called by nation NDS files to obtain statistics for the unit include its graphics, hit points, attacks, etc..
NDS files : These are nations specification files. See below for further dissection of NDS files. TXT Files : Possibly the files of interests are COMMENT.TXT, TEXT/MDLIST.TXT, and NMLIST.TXT. COMMENT.TXT is like a translation file to give you description of different buttons (eg. tech upgrades). Of course, it will be different in different language version. TEXT/MDLIST.TXT is a similar file, but for units. Then you have NMLIST.TXT. This file is important. If you want to add new units (ie. new MD files) you need to add the new entry into this file. If you don't, the game will crash. [MEMBERS] : this entry refers to the units and building available for that nation. The left hand column is the intrinsic name of those members that will be called later in the NDS files. It does not matter what name you specify for this, as long as the ending in the brackets is appropriate for that nation, eg. (AU) for Austria. The right hand column refers to the actual unit name as defined in the corresponding MD file, under NAME entry for that unit. Eg. in AUSTRIA.NDS : Kreposnoi_pruss(au) Kreposnoi_pruss refers to member called Kresposnoi_pruss(au) using stats from unit named Kreposnoi_prus, as defined in KRP.MD file. [FIXED_PRODUCE] : this entry states what can build/produce what and where the icons are to be located. Looking at the first line under [FIXED_PRODUCE] of AUSTRIA.NDS, the first line says : Kreposnoi_pruss(au) 18. This means that the member called Kresposnoi_pruss(au) (ie. Austrian peasant) can build 18 things. The next 18 lines under this therefore describes what can be built. Looking at the first line immediately under this, it says : Center_Austria(au) 2 2 H. This means the townhall can be built by the peasant. The townhall icon will be placed in Colunm 2 (the first number 2) and Row 2 (the second number 2) of the peasant build menu. The letter H refers to the category of the townhall. (H for Hall, A for Academy, etc.). [ENABLED] : this entry specifies which units are enabled by default at the start of the game without any further requirements. This would for example, includes 17c Barracks but not 18c Barracks. Breaking this down, Pikiner_evro(au)ATTACK = upgrade member name, ATAKA1 = icon for this member, #POSITION 0 1 = position of the icon at column and row number, #LEVEL 2 = level of the upgrade, Pikiner_evro(au)ATTACK = translation of the member as defined in COMMENT.TXT file, #COST 2 FOOD 200 GOLD 50 = self explanatory, #TIME 500 = time taken to complete the upgrade, DAMAGE WEAPONKIND PIKA Pikiner_evro(au) = effect of the upgrade, +1 = quantity of the upgrade effect. [UPGRADEPLACE] : this entry specifies the place where the upgrades are to take place. It again follows a similar format to Fixed_Produce entry, in that it first specify the unit/building with the number of upgrades following that. The following lines then would specify the upgrades for that building/unit. Eg. PorE(au) 5 specifies that at Austrian ship yard, there are 5 upgrades. The upgrades are then specified immediately following that. [UPGRADEENABLE] : this entry is a simple one as it just specifies upgrade which are enabled at the start of the game without any further requirements. [UPGRADELINKS] : this entry is also relatively easy. It controls which upgrades are enabled after a certain upgrade is made. The most complicated one would be MAINAU 13 Kirasir(au)ATTACK Kirasir(au)SHIELD Gusar_evro(au)ATTACK Gusar_evro(au)SHIELD Dragun_18(au)ATTACK Dragun_18(au)SHIELD KUZ04AU Melnica(au)GETRES2 shahta(au)INSIDE5 shahta(au)INSIDE6 shahta(au)INSIDE7 AKA25AU PRS(au)INSIDE. This means that there are 13 upgrades enabled after MAINAU (Progress to 18th century) is completed. Most of the others are just 1 following another. [DISABLED_UPGRADES] : this entry is for upgrades that you have enabled but want its button greyed out until certain conditions are met. A good example is MAINAU (18th century upgrade), which is greyed out at the start of the game until the requirements of 18th century upgrade are met. [ACCESSCONTROL] : this entry specifies requirements that must be met before the upgrades/units are available for use. For example, MAINAU 7 Kuznica(au) Konushnia_Swesair(au) akademia_E(au) Kazarma_evro(au) Cercov_Poland(au) Rinok(au) artileri_depo(au) means that before you can use the 18th century button MAINAU, you must have 7 buildings built. These buildings are specified after the number 7. [UNITLOCK] : this entry controls units that are to be produced in limited quantity. For example, PERES_KOR(au) 10 PERES_KOR(au) means that after 10 ferries are produced, you can not build any more ferries. [CANSETDEST] : units specified under this entry will have a rally point button. Should be used for buildings only. [PRIVATE] : this entry means that the upgrades specified here will only affect a single unit/building that has the upgrade. This is used for upgrades of mines and towers. [SPECIAL_UPGRADE] and [SPECIAL_UNIT] : these 2 entries are applicable only to AoW. This is to set flags for the various game modes such as 18 century games, no wall no tower games etc. Units or upgrades specified here let the game engine know whether to exclude them under certain game condition or not. [COUNTRY] : this entry is mainly for the editor, I think. It contains the units for that country, grouped under various headings such as buildings, calvary, artillery etc. [OFFICERS] : this entry specifies requirements for formations. It should be self explannatory if you have been reading through the guide this far. 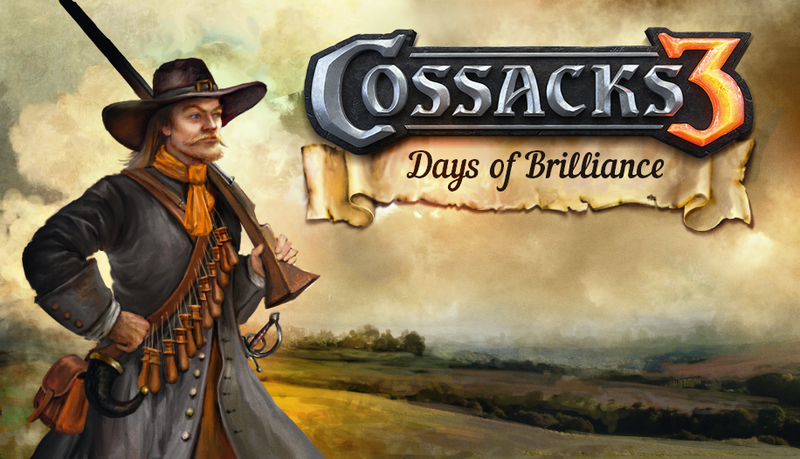 Now that you have understood about the various file types in the Cossacks game, let's try out something simple. Let's change the graphic of the mercenary dragoon. For this, you will need the file DR2DIP.MD. This is the file that defines the stats for mercenary dragoon. Let's say we swap its graphic for the French dragoon graphic. You will now need the file DRF.MD. In each of these two files, you will need all the lines from ICON to GEOMETRY are those that define the graphic for these units. Just cut that section from DRF.MD and paste it into (replacing that in) DR2DIP.MD. Of course if you feel a bit adventurous, you can try your hand on editing a few of the unit stats at the same time also. Then put the edited DR2DIP.MD file back into the game and you will find the new graphic for YOUR mercenary dragoon. To read how to put edited files back into the game, please read on. This is getting to the advance level of making mods. This would require forethoughts as to what you want to add, where (which nation) you want to add the unit to and how (availability of unit, upgrade levels, etc.). There is an additional step that you will need to do also. Because you will be introducing new files, you must remember that new MD files must be listed in NMLIST.TXT file and its description given in TEXT\MDLIST.TXT file. Now you go to the nation NDS file that you wish to add this new unit to and start editing. I find it useful to think of this process as having a new baby born into your family. You must decide what its name is going to be, where it will be born and what position will it be placed in the family plus its potential role when it matures. So you go through the process of adding this new member with a new name in the [MEMBERS] entry. Then you must decided where it is going to be produced at under the [FIXED_PRODUCE] entry. After this, you must decide on whether or not its going to be available by default under [ENABLED] entry, etc. You then must go through the whole NDS file entries to complete the addition of this new member. Again, after editing these files, put them back into your Cossacks game and (hopefully if you did everything correctly) you should find your new unit in your game. The simplest way is to use the Cossacks Mod Manager that I have developed. All you need to do is to generate a GSC file with your edited files using GSC File Utility, but name this file YOURNAME.MODS file and replace your name with whatever you like. Then just put this MODS file into Cossacks game directory and away you go with the Cossacks Mod Manager. Or you can do this the traditional way, by making a new patch0*.gs1 file or a mods01.gs1 file (if you have MOD1 installed) and put it into your Cossacks directory. If you do this, remember to back up your original files. There are a few rules you should remember when you use patch0*.gs1 or mods01.gs1 files. Cossacks game engine will look for files containing unit stats, etc first in PATCH0*.GS1 files. These values will override those contained in ALL.GSC file. Of course if a unit stat is not found in PATCH0*.GS1 file, the game engine then will get its value from ALL.GSC file. Now, if the game engine is unable to find a corresponding stat for a unit that exist in one of the NDS file, the game will CRASH. This rule changes slightly if you have MOD1 installed. It will look at the value from within MODS01.GS1 and MODS.GS1 file first, then PATCH02.GS1 file and then finally ALL.GSC file. GS1 and GSC files by any other names will simply be ignored by the game engine. Of course if you have just EW, this game engine will also ignore MODS01.GS1 and MODS.GS1 files. So much has been written and read, the thing to do now is for you to just roll up your sleeves and try modding Cossacks yourselves. Happy Cossacking my fellow friends. 1. Starałem się pisać bezosobowo, tak jak jest to w języku angielskim. 2. Wiem, że mój angielski nie jest wysokich lotów. 3. Z uwagi na punkt 2. starałem się tłumaczyć tak by uwzględnić przy okazji moje własne doświadczenie w tej dziedzinie. 4. Jest to tylko materiał przygotowujący, nie należy go traktować jako wyczerpujący wszystko artykuł. 5. W przypadku większości błędów wyświetlony zostanie komunikat o tym gdzie jest niezgodność, nazwa parametru i linia, przez co łatwiej jest wykryć błąd. Pierwsza zasada towarzyszące tworzeniu modów to NIE BAĆ SIĘ PRÓBOWAĆ różnych kombinacji. Zmienić parę rzeczy to tu to tam. Zapewne początkowo popełnicie trochę błędów, ale na tym polega nauka. Praktyka czyni mistrza. Otwórz więc swój Notatnik/WordPad i wciągnij się. Na początek upewnij się, że masz kopię zapasową oryginalnych plików Cossacks, a dopiero potem działaj. Zauważ, że dla dobra tego tekstu określenia używane są w odniesieniu tak do budynków jak i jednostek z gry. 3) Jak zmienić wyświetlaną grafikę. 5) Jak umieścić zmodyfikowane pliki na powrót w grze. Od tłumacza: Wszystkie poniżej wymienione pliki można otworzyć w Notatniku. NRES.DAT - Odpowiada za wiele elementów. Dla przykładu odpowiada za porządek ułożenia ikon, a parametr UNITS/FARM odpowiada za ilość jednostek jakie przypadają na jeden dom. *.GP - Czyli pliki z grafikami jednostek i budynków. *.MD - W nich znajdziemy wszystko odnośnie statystyk jednostek, wyświetlania grafik etc. Są to pliki przy których można spędzić większość swego czasu starając się coś wycisnąć. Poznaj je lepiej, szczególnie, że Znaczna część zawartości pliku mówi sama za siebie za co odpowiada. Szczególną uwagę należy zwrócić na występujący na początku pliku NAME. Ten parametr NAME jest ściśle skorelowany z nazwą tej jednostki występującą w plikach NDS (odpowiadających za parametry poszczególnych nacji). *.NDS - Pliki związane z danymi nacji, więcej niżej. *.TXT - Prawdopodobne jest, że szczególne zainteresowanie wzbudzą COMMENT.TXT, TEXT/MDLIST.TXT (Uwaga! TEXT/MDLIST.TXT to nie jest plik. Pierwsze TEXT oznacza folder gdzie znajdziemy ten plik - przyp. tłumacz) i NMLIST.TXT. COMMENT.TXT jest jak plik tłumaczący opisy różnych przycisków i opcji (np. : techów). Oczywiście różne one będą dla różnych wersji językowych gry. TEXT/MDLIST.TXT działa podobnie, ale dla jednostek. NMLIST.TXT to szczególnie ważny pliczek. Przy jakiejkolwiek próbie dodania nowej jednostki (pod postacią pliku *.MD) musisz zamieścić informację o niej tutaj inaczej gra nie wykryję jednostki lub będzie dawać sygnał o błędzie i wykrzaczać do Windowsa. To są pliki nacji, które są łatwe do rozeznania co jest pięć. Są to pliki tekstowe, które możemy edytować w każdym edytorze. Posiadają kilkanaście parametrów. Za przykład weźmy AUSTRIA.NDS. [MEMBERS]: Pod tym parametrem mamy przyporządkowane dostępne dla nacji budynki i jednostki. Lewa kolumna to wewnętrzne nazwy poszczególnych obiektów występujących w danym pliku nacji. Jakkolwiek nie nazwiesz jednostki wszystko będzie grać jeśli dostanie ona na koniec odpowiedni dla każdej nacji dodatek na koniec nazwy. W przypadku Austrii to (AU). Prawa kolumna to nazwy jednostek jakie figurują w ich plikach MD pod wpisem NAME. Przykład: W AUSTRIA.NDS mamy Kreposnoi_pruss(au) Kreposnoi_pruss, co oznacza, że obiekt Kreposnoi_pruss(au) używa statystyk i grafik obiektu o nazwie Kreposnoi_pruss, który znajdziemy pod plikiem KRP.MD. [ENABLED]: Tutaj zdefiniowane są jednostki i budynki dostępne w XVII wieku bez żadnych dalszych wymagań. Dla przykładu są tu Baraki 17w, ale nie uraczymy tu tych z 18w. +1 = konkretna wartość o jaką podnosi jakiś współczynnik dany upgrade. [UPGRADEPLACE]: Tutaj znajdziemy dokładną pozycję gdzie i jakie unowocześnienie się znajduje. Ma to podobny układ jak w przypadku omawianego wcześniej [FIXED_PRODUCE]. W pierwszej linii widzimy liczbę technologii do odkrycia, jakie można wykonać w danym budynku lub w jaki sposób ulepszyć jednostkę. Kolejne linie opisują już konkretnie jakie to technologię. Przykład: Eg. PorE(au) 5, znaczy tyle, że w austriackim porcie dostępne jest 5 technologii, a poniżej mamy więcej szczegółów na ich temat. [UPGRADEENABLE]: Opisuje wszelkie upgrade'y dostępne zaraz na początku bez dalszych wymagań. MAINAU 13 Kirasir(au)ATTACK Kirasir(au)SHIELD Gusar_evro(au)ATTACK Gusar_evro(au)SHIELD Dragun_18(au)ATTACK Dragun_18(au)SHIELD KUZ04AU Melnica(au)GETRES2 shahta(au)INSIDE5 shahta(au)INSIDE6 shahta(au)INSIDE7 AKA25AU PRS(au)INSIDE. MAINAU to przejście do XVIII wieku, które daje 13 następujących upgrade'ów dostępnych w różnych miejscach. [DISABLED_UPGRADES]: Ten fragmencik dotyczy unowocześnień, które nim się pojawią się jako aktywne muszą zostać spełnione co do nich specjalne wymagania. Świetny przykładem jest przejście w XVIIIw, czyli MAINAU, który jest poszarzały na początku gry dopóki, dopóty nie wybudujemy wszystkich koniecznych budynków. Znany nam już MAINAU oznacza przejście do XVIII w., cyfra 7 oznacza 7 rzeczy jakie są wymagane, a poniżej następuje lista wymaganych (w tym wypadku budynków - przyp. tł.). Znaczy tyle, że możemy wybudować maksymalnie 10 promów. [CANSETDEST]: CAN SET DESTiny (przyp. tł. ), czyli lista budynków, które mogą wyznaczyć punkt zbiórki. [PRIVATE]: Lista jednostek, budynków, których dotyczy jedna specyficzna technologia. Np. : kopalnie lub wieże obronne. [SPECIAL_UPGRADE] i [SPECIAL_UNIT]: Oba fragmenty zastosowano w AoW (oraz BtW - przyp.tł). Dzięki temu nasza gra się nie wykrzacza gdy ustawiamy rożne dziwne opcje typu bez murów/wież i inne w ten deseń. [COUNTRY]: Te wpisy dotyczą tego, co widać w edytorze, zawiera wykaz jednostek, budynków etc, posegregowanych w grupy. [OFFICERS]: Linie pod tym nagłówkiem określają co potrzebne jest by stworzyć formację. O co w tym biega powinno być jasne po przeczytaniu całości. 3. Jak zmienić wyświetlaną grafikę. Skoro wyjasnione zostały podstawy róznych typów plików w Kozakach spróbujmy czegoś innego. Na początek zmiana grafiki najemnego dragona. By to wykonać trzeba odnaleźć plik DR2DIP.MD. Jak już wiadomo znajdziemy wszelkie informcje o tej jednostce. Umówmy się, że chcemy obecną grafikę zastąpić tą, którą posiada francuski dragon. Tego znajdziemy w pliku DRF.MD. W obu znajdźcie linie od nagłówka ICON do GEOMETRY, bo to one określają wyświetlanie grafiki jednostki. Teraz skopiuj ten fragment z pliku francuskiego dragona i zastąp odpowiedni fragment występujący u zaciężnego (z DRF.MD do DR2DIP.MD). Jeśli czujesz się na siłach możesz spróbować edytować kilka jednostek na raz. Po tej operacji wrzuć wyedytowany pliki DR2DIP.MD do gry, a znajdziesz swoje modyfikacje po uruchomieniu gry. Jak wrzucać pliki do gry bedzie opisane poniżej. To już wyższa szkoła jazdy. Musisz z góry wiedzieć co ma być dodane, gdzie (jaka nacja), jak ma działać (dostępność, unowocześnienia i ich poziomy). Pojawi się też dodatkowy krok do wykonania. Z uwagi na dodawanie nowych plików, musisz pamiętać, że nowe pliki MD muszę zostać umieszczone w NMLIST.TXT, a jego opis dodany do TEXT\MDLIST.TXT. Po wykonaniu tego można zabrać się co edytowania odpowiedniego pliku NDS. Najlepiej jest myśleć o nowym obiekcie jak o nowonarodzonym dziecku. Musisz zadecydować jakie będzie mieć imię, gdzie się będzie rodzić, jaką pozycję w rodzinie zajmie i jego rola gdy dorośnie. Nadajesz imię w [MEMBERS], gdzie się będzie produkować w [FIXED_PRODUCE], potem czy będzie dostępna od razu czy nie we wpisie [ENABLED] itd. Musisz w ten sposób przeskoczyć przez cały plik NDS by zakończyć operację sukcesem. I jak zwykle, po zapisaniu zmian umieść plik w grze. Jeśli wszystko zostało zrobione zgodnie ze sztuką, to stroić będzie gitarka, gra się nie wykrzaczy z komunikatem, a nowa jednostka będzie działać. 5. Jak umieścić zmodyfikowane pliki na powrót w grze. Najprostsza metoda to Mod Manager, który rozwijam. Wszystko co potrzebne to wygenerować plik za pomocą GSC File Utility, a nazwij ten plik YOURNAME.MODS, gdzie YOURNAME zastąp czymkolwiek chcesz. Potem ten plik umieść w głównym folderze gry. Można to zrobić w sposób tradycyjny i tworzyć pliki o nazwie patch0x.gs1, gdzie pod x wstawiamy kolejne cyferki. Tudzież tworzenie mods01.gs1 (o ile masz zainstalowany Baddog Mod1). Na koniec również umieszczasz je w głównym katalogu gry. Zawsze pamiętaj o zachowaniu kopii pierwotnych plików. Jest kilka zasad, które trzeba poznać gdy używamy tego drugiego rozwiązania. Silnik gry w pierwszym momencie zagląda do plików o nazwie PATCH0x.gs1 i zastępuje znalezionymi plikami te oryginalne z ALL.GSC (który wczytywany jest na końcu - przyp.tł). Jeśli jakiś plik będzie występował tylko w ALL.GSC, oczywiste jest, że gra weźmie wtedy informację w nim zawarte właśnie z ALL.GSC. Jeśli jakieś wartości nie będą wpisane poprawnie gra zaliczy wykrzaczenie z błędem. Zasada się zmienia przy zainstalowanym MOD1. Silnik najpierw odczyta zawartość MODS01.gs1 oraz MODS.gs1, a dopiero w dalszej kolejności z PATCH02.gs1 i ostatecznie z ALL.GSC. Pliki o rozszerzeniach GS1 lub GSC o innych nazwach będą ignorowane przez grę. Jeśli dysponujesz Europejskimi Bojami to nie dziw się, że gra pomija MODS01.gs1 oraz MODS.GS1. Pierwsza wersja gry nie została przystosowana do modyfikowania przez twórców. Tyle napisano i przeczytano, więc pora by zacząć coś robić, więc czas zakasać rękawy i zacznij modyfikować Kozaków. Nie dziękuj nim nie skończę. Trochę to potrwa jeszcze nim skończę ostatecznie. Chociaż przyda się osobny dział na takie rzeczy i dodatkowy artykuł uzupełniający, bo ten mimo, że ma zawierać podstawy to mimo wszystko ciągle ma braki. Proszę o szybką odpowiedź bardzo proszę. Zależy mi na tym aby wiedzieć gdzie znajdują się foldery i jakie programy użyć do zmodyfikowania kozaków jeśli możecie/znacie to proszę linki do tych programów. Zależy mi żeby zostawić tylko jednostki z Mod1 i podstawy no i na niczym więcej więc to nie będzie jakiś wielki mod ale proszę naprawdę o linki i programy.